The Calendar page shows all bookings both “regular” and “one off” for full details please see Activities and Events pages. There is a range of dance opportunities on offer. Perhaps the most popular regular event on the Hall calendar is the Tea Dance. These most enjoyable occasions are usually held on the second Tuesday of the month so, if you haven’t been along before, put the date in your diary. Your hosts, Mel and Ann, will be delighted to welcome you. So come along for the dancing, socialising in friendly company and the included refreshments. The cost is just £4.00 with all proceeds going to charity. We know you will have a great time and be made most welcome! Want to do a “Strictly”? The ‘Pop-In Centre‘ is open every MONDAY morning from 10.00 – 12.00 offering a friendly face and chat, tea/coffee and a toasted teacake (at very reasonable rates!) and a little gentle stimulation of the mind! Everyone from Mums or Dads with little ones up to more “mature” villagers will be made very welcome. Don’t sit at home come and be amongst friends. There is plenty of room for all. If you feel a little shy about coming for the first time on your own contact us, and we will arrange to meet you at and walk with you to the Hall. If transport is a problem perhaps please let us know and we will pick you up. We are always pleased to hear from anyone considering starting a new activity. 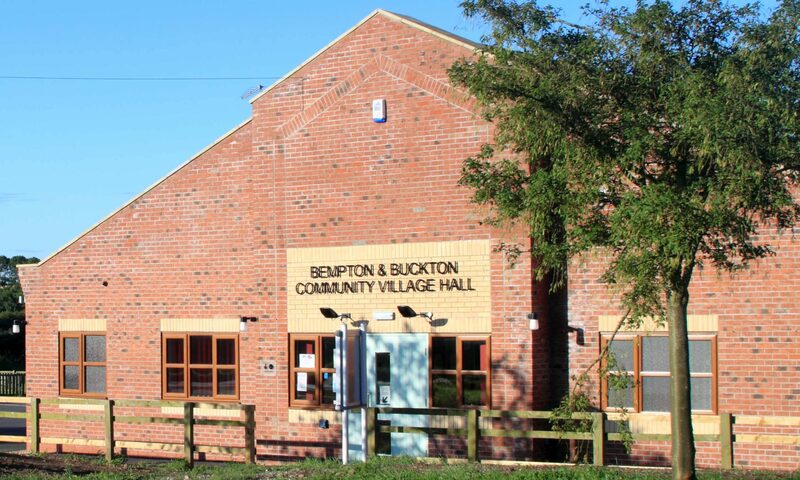 Bempton and Buckton Community Village Hall (the Charity) needs to keep certain information about its Trustees, Officers, Committee Members, Members, regular users, donors and occasional users to carry out its day-to-day operations, to meet its objectives and to comply with legal obligations. The Charity processes the following personal information – names addresses and contact details of the persons referred to above. The Charity will ensure that data will not be sold to companies or given to public organisations. Personal data will only be passed on to a third party with written consent, be processed for the purposes stated only, stored for informing potentially interested parties about events and activities where the data subject has given permission by opting in, be accurate and be kept up to date, be erased as soon as out of date or when not necessary, be kept in a safe place and where relevant on a computer which is kept securely and is fully protected.